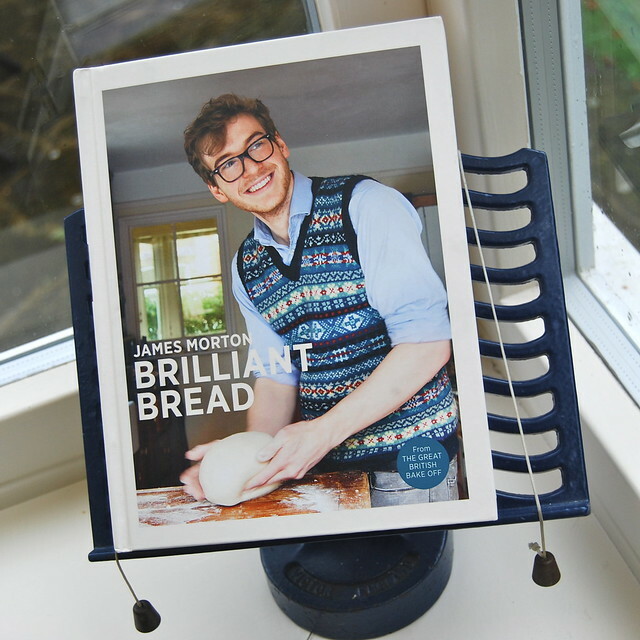 About three hours after the copy of Great British Bake Off season 3 finalist James Morton’s first book Brilliant Bread that his publishers were kind enough to send me arrived, I had already opened it to the first recipe, a basic white loaf and started weighing out my flour. 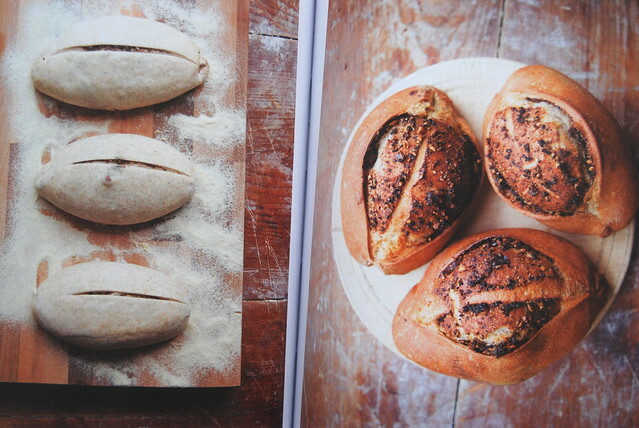 I know I was already stupidly excited by this book (while some people are cooks, some people are cake makers, I’m a bread girl. I love yeast, and I’m still thinking about the chocolate ganache passion fruit truffles James made on the show last year), even for me this is a record. Usually I like to read a book cover to cover before I set to choosing what I’m going to make from it, but for the first time in simply ages we had a massive problem in our house. We’d forgotten to prepare anything for supper, and due to the rain storm and general tiredness no one fancied leaving the house. 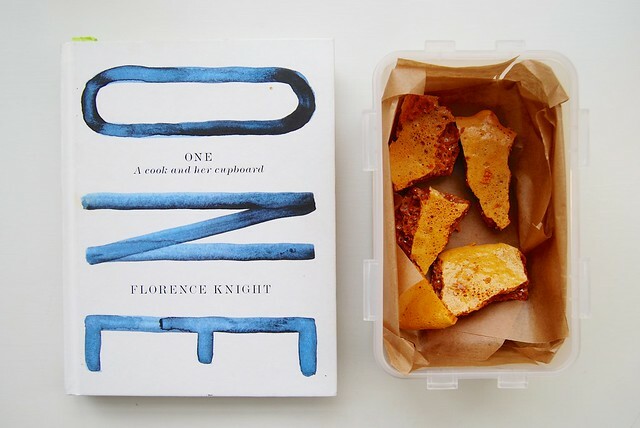 I looked down at the book in my hands that I’d only made it through the first chapter of, and noticed something brilliant about this bread book that I wished every other bread recipe had. James has listed with each recipe how long each bake takes to make in total, as well as how much time you’ll spend in the kitchen actually working your dough. The basic loaf would take about 3-3 1/2 hours, and as I have an AGA and therefore access to great warmth I knew my bread would not need any longer to proof than listed. I knew there were a couple of portions of my Warming Carrot Soup in the freezer, so I was set. I will admit, I did not read the recipe through at first before I started. 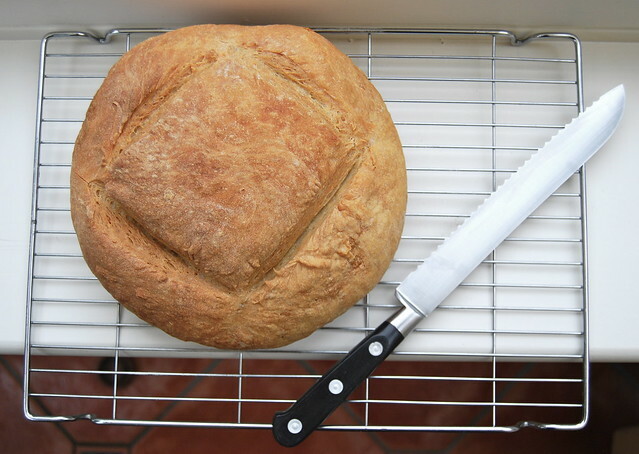 After making my own bread practically every week while I was living in Los Angeles, I was sure I could pretty much do any basic white loaf with my eyes shut by now. But then I read the first instruction once I’d weighed out my flour. Then I stopped and read the whole thing. This loaf did not require any kneading. What? 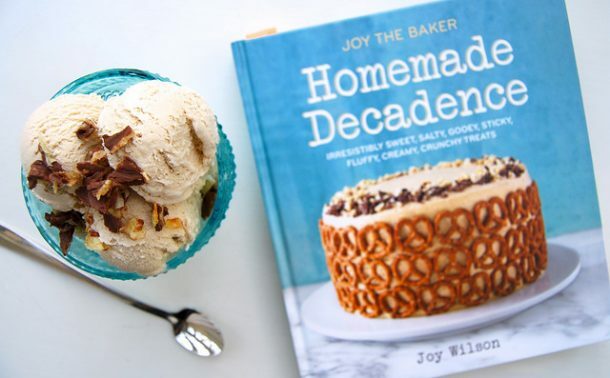 In the title of this post is that this is my new baking bible, because it really is. I’m pretty sure that Paul Hollywood’s bread book I’m in the middle of reading and before now I took my basic white bread from won’t get much of a look in anymore. Sorry Paul, but it is great to have something from someone of my generation; a cooking obsessed student like myself. 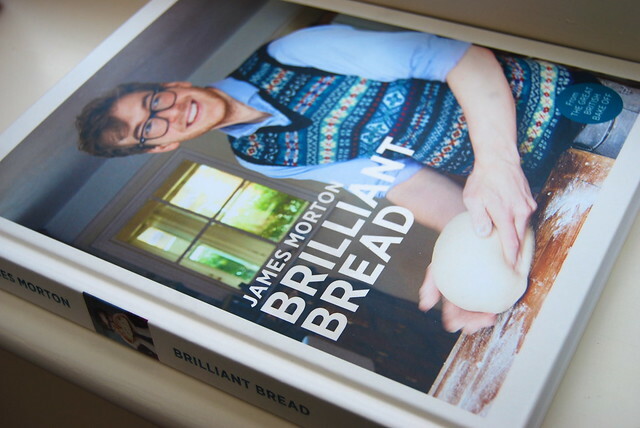 In the introduction to this book James notes that this is a book for home bakers, and most of the other books are done by professionals so don’t think like us. I really agree with him, and his recipes are brilliant to follow. Not to mention the book is pretty beautifully set and laid out, too. I actually met James a few weeks ago when the team at Sainsbury’s were kind enough to send me to the Cake & Bake Show alongside (the equally as lovely) John Whaite (who won that year), and he is really, really awesome in person. By now I’ve met and worked with my fair share of people we know off the television, and so many of them are not as nice and genuine as they come across. James really is, so I think that is reason enough to buy a copy. Finally, let me just have a final rant. I spent ten bloody months kneading my loaves of bread each week whilst I was living in LA when I did not need to. I am very put out by this, but glad I know now. 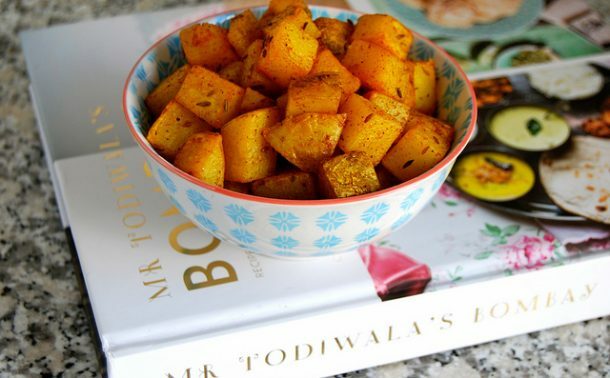 As usually is my format when I’m reviewing a book, I’m going to share a recipe from it with you. This is a recipe that I originally spied on James’ blog when I was in Los Angeles and never got around to. 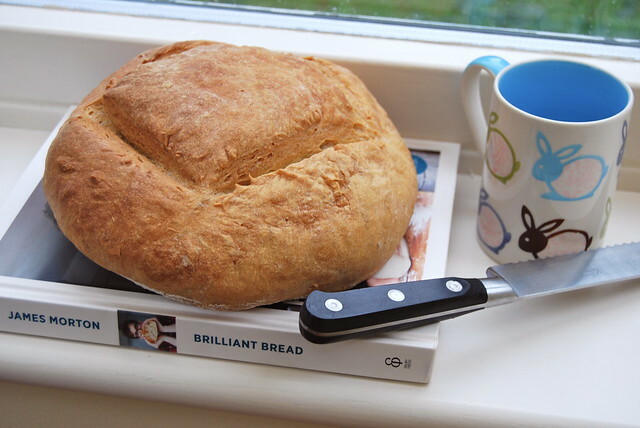 It is the perfect bread for students and busy people, so I knew it would be just perfect to include here: Mug – Or Anywhere – Bread. 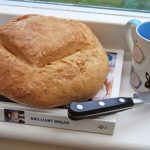 This easy white loaf does not require any kneading, and can be measured out entirely with a mug – genius! Measure the flour into a large bowl, and measure out the salt onto one side of the bowl, pour the yeast into the other. Rub the salt and the yeast into the flour on their respective sides of the bowl with your fingertips. Make a well in the middle and pour in the water. Mix until you have a uniform dough, using the dough to wipe the excess flour off of the sides of the bowl. You can use a spoon or fork for this, but I usually just use my hands in a claw like motion. Cover the dough in the bowl with a damp towel or cling film and leave to rest for at about 40 minutes. You should notice that it has grown a bit. Wet your fingers on one hand to stop the dough sticking to them and, sliding your fingers under the dough in the bowl lift half of it. Fold it over and repeat, turning the bowl about 90 degrees each time. You should feel the dough getting smoother and tighter. When it is smooth cover again and leave for about an hour until it has doubled in size. Alternatively you can leave it in the fridge, where it should take 8-12 hours to rise. Now it is time to shape your dough. The book has a fantastic method for doing this, but if you are crazy enough to not want to buy the book, you can use my old technique of stretching out a smooth top and tucking all the edges under the ball. Think putting a fitted sheet onto a non existent mattress. Place on a floured baking tray and cover again, but leaving room for it to grow for another hour. You can buy Brilliant Bread from Amazon, Waterstones and all the other usual places, but if you know an independent bookshop that stocks it, I urge you to buy it there instead. 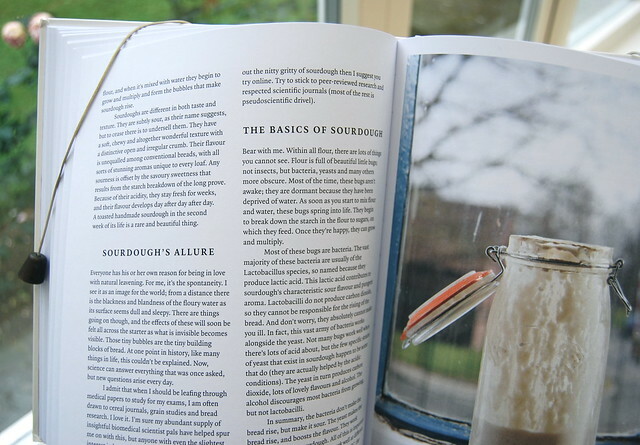 If you do buy the book and you want to get some of the things that might be helpful like flexible bread scrapers (these are harder to track down than you’d think, trust me!) 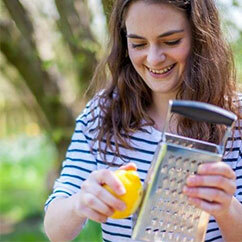 I suggest you look on a recent website find of mine, Bakery Bits. I honestly think this is going to turn out to be my favourite book of 2013, and I hope you all enjoy it too! You’d be surprised how many cookbooks I get sent to review, because I never end up featuring them as I’m not happy enough with them to share. I can stand up, hand on heart and tell you that I love this one.